Ken Moorehead of Vallejo lands a 14 lb. Catfish in Elmer's Cove! He was fishing from shore using worms for bait. 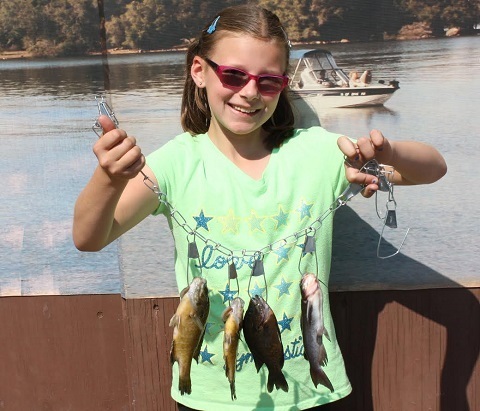 Probhat Palma lands a gorgeous stringer of Bass from a boat near the dam using live crawdads. 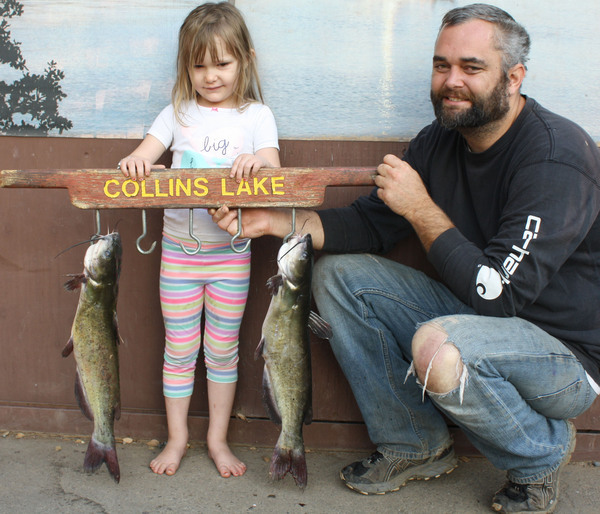 1st Fish Honors go to 4 yr. old Katelyn Snyder from Sacramento who was up here fishing for the day. She was using green Powerbait in a cove by the dam. Misty, Al, & Gary from Woodland had a fantastic fishing day, they took home a huge stringer of trout and ALL were caught by the dam on PowerBait. Ethan Blaylock from San Jose fished in Elmer's Cove with worms and caught a really nice 4 lb. 12 oz. Catfish. 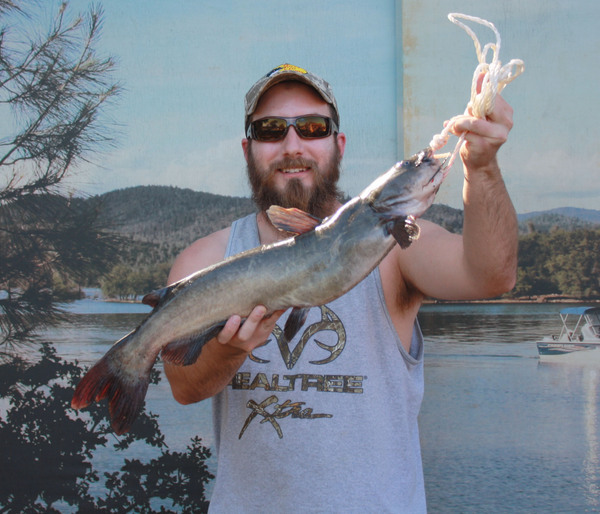 Ivan Flores from Pittsburg also used worms and hooked a lil' catfish, best eating they say! !